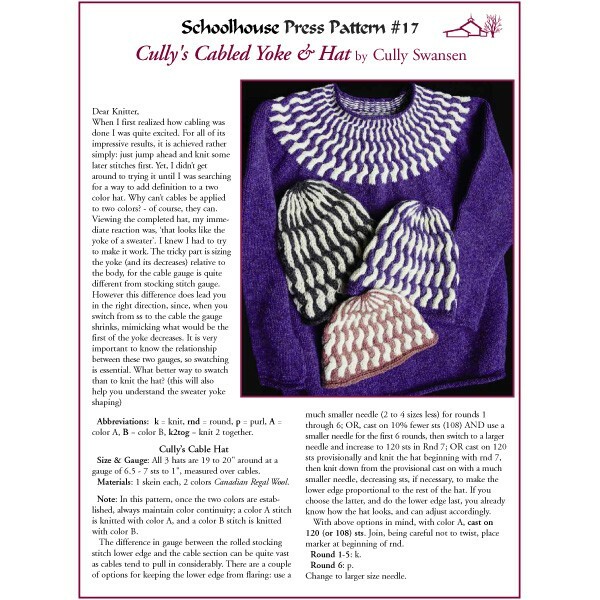 This yoke sweater had it's origin in Cully's hat design, which first appeared in Vogue Knitting. He asked, 'Why not cable in 2 colors?' Why not indeed - the effect is striking! 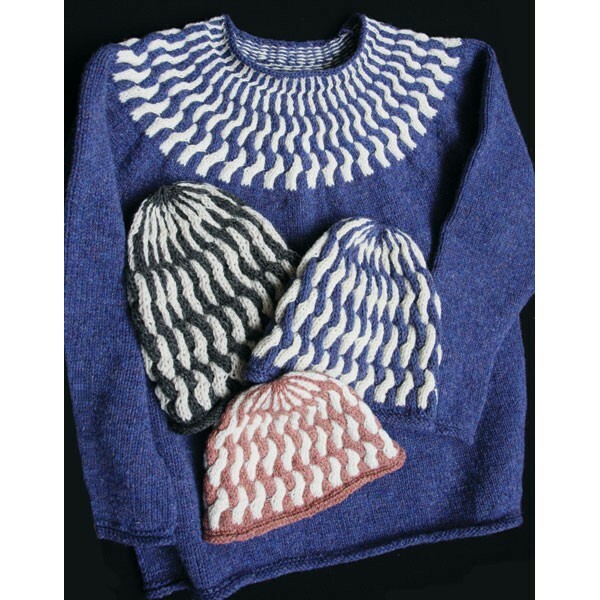 The seamless sweater construction follows EPS: knit the body and sleeves to the underarm, unite the three pieces and shape the yoke to the neck. Complete step by step instructions for the cables. The hat is a great introduction to this marvelous new technique. 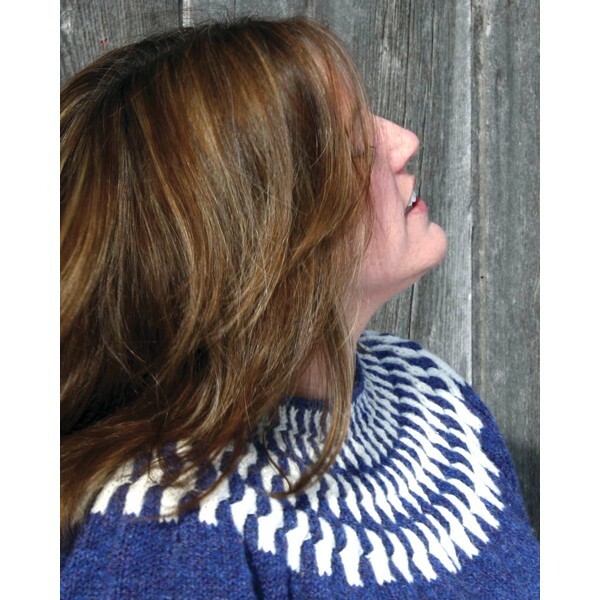 In our Canadian Regal wool.